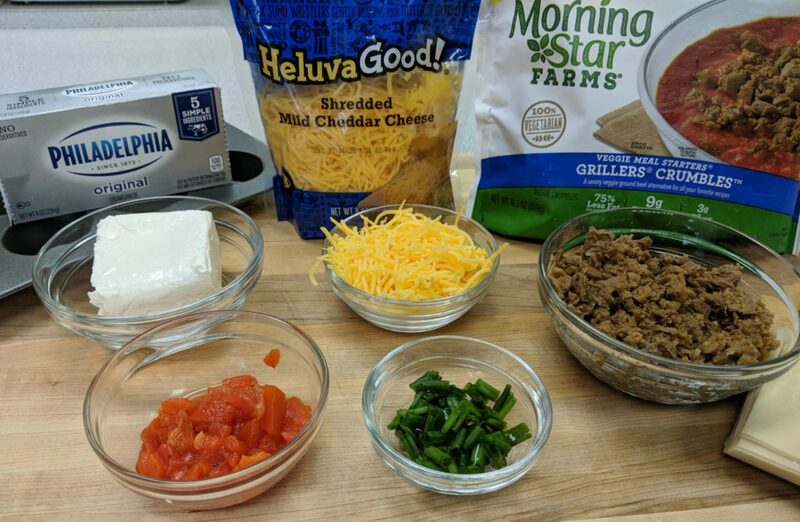 Step One: Gather all of your ingredients. 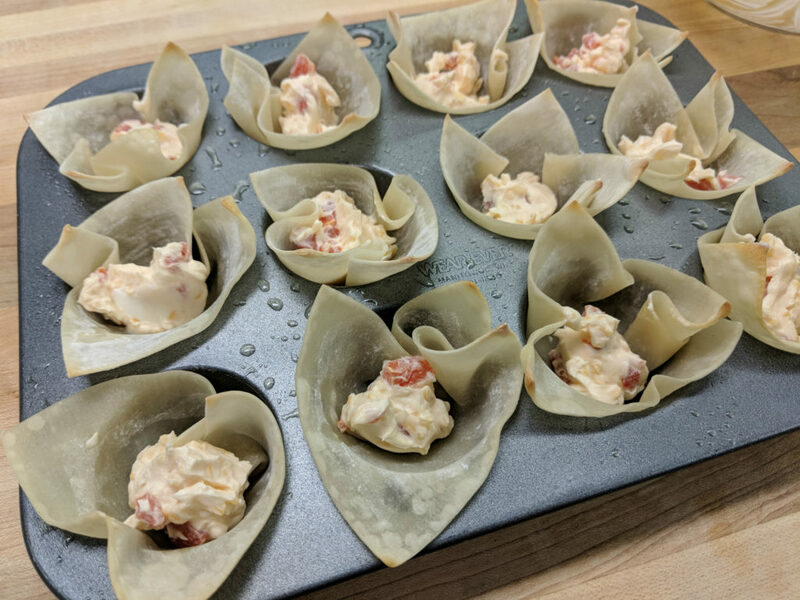 To make these wonton cups, you’ll need cream cheese, shredded cheddar cheese, green onions, roasted red peppers, meatless crumbles, and wonton wrappers. 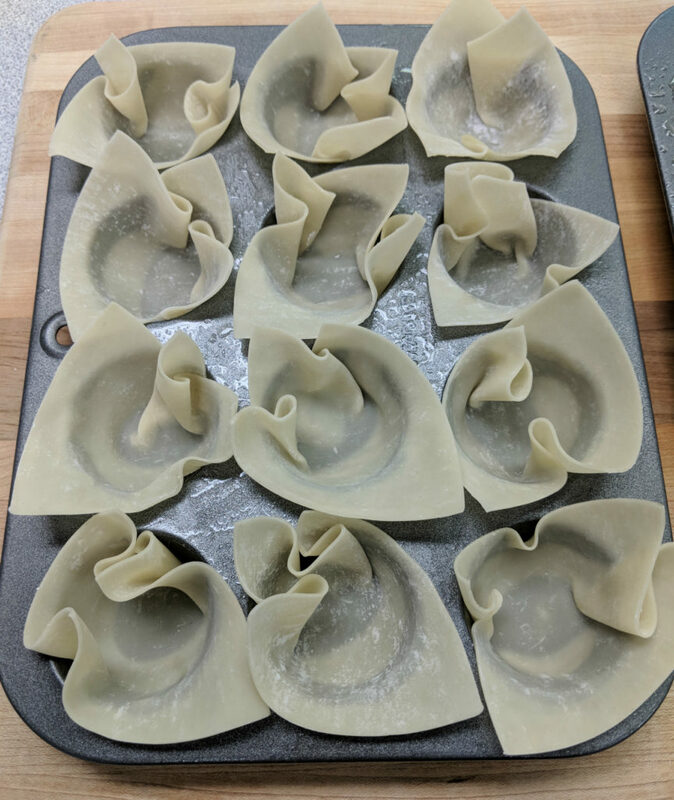 Step Two: Preheat the oven to 350 degrees F. Then, spray a couple of mini muffin tins with cooking spray, place a wonton wrapper into each cup, and bake for 5 minutes. When placing the wrappers into the cups, use your fingers to push the wrapper into the bottom and sides of the cup. The edges of the wrappers will extend over the tops (as shown), and that’s okay; they will crisp up and give these a nice look. 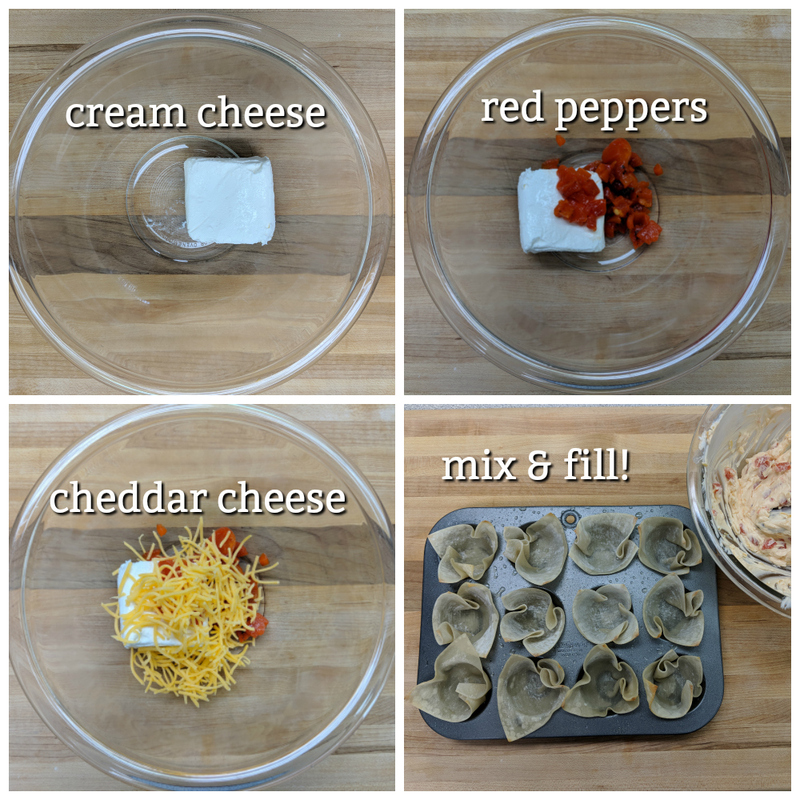 Step Three: Mix together the cream cheese, roasted red peppers, and half of the shredded cheddar cheese. Then, fill each cup with about a teaspoonful of the mixture. 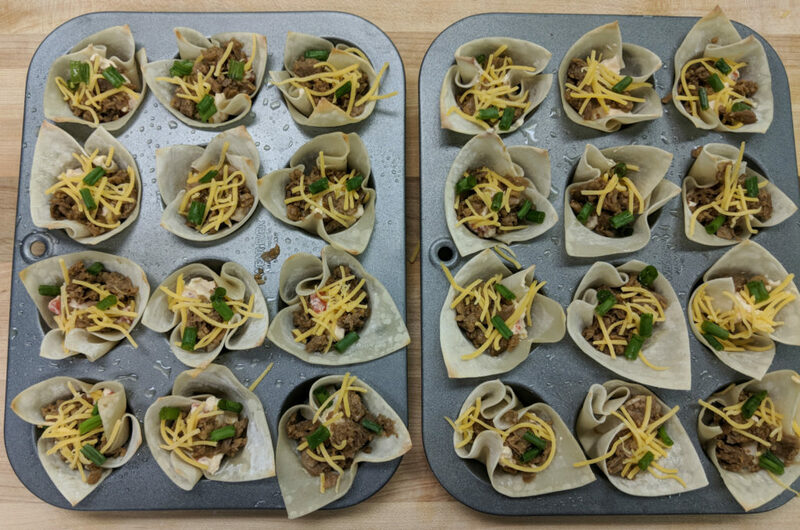 Step Four: Sprinkle each muffin cup evenly with the meatless crumbles, remaining cheddar cheese, and green onions. Then, put them back into the oven for about 5 minutes or until the cheddar cheese is all melty and everything is heated through. 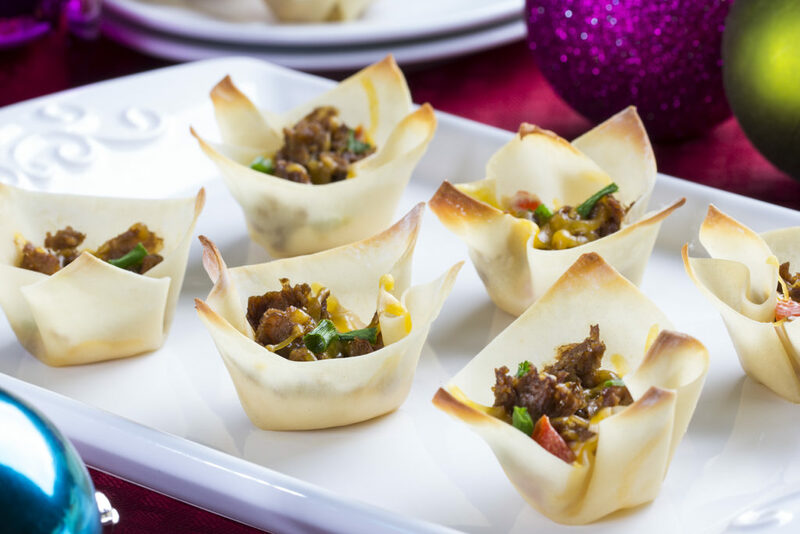 Check out how great these Holiday Wonton Cups look! These vegetarian party appetizers are going to be talked about all night. These are so good, you’ll want to eat them whether you follow a vegetarian diet or not! A healthier and yummy version of potato tots. 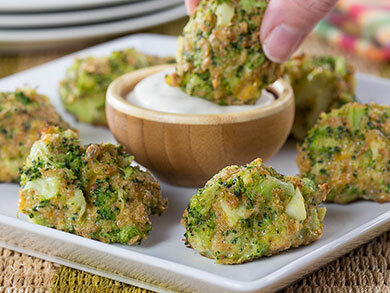 These Broccoli Tots are a great vegetarian party appetizer. 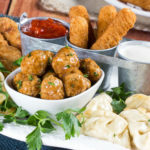 Serve them with your favorite dipping sauce! 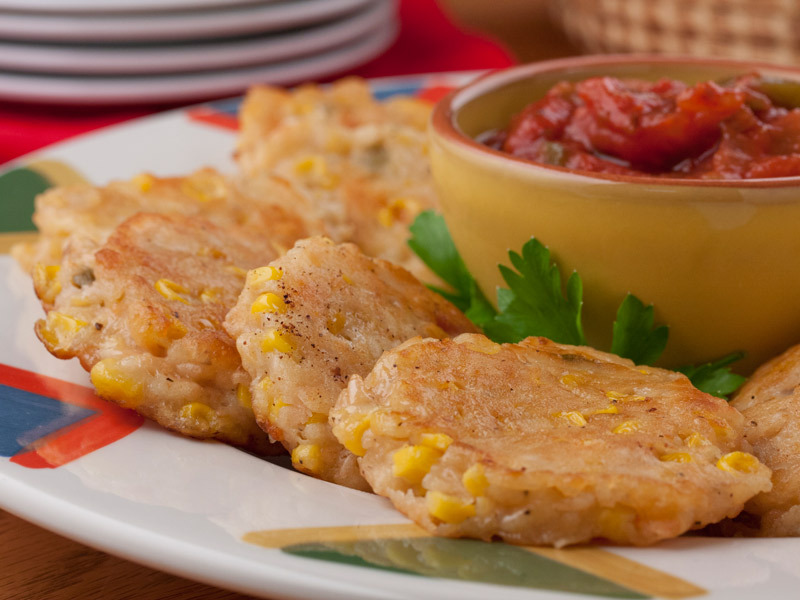 Our Easy Corn Fritters are a favorite any time of the year. Since they use shortcut ingredients like canned cream-style corn and frozen corn, they’re easy to make. These are a must-have! 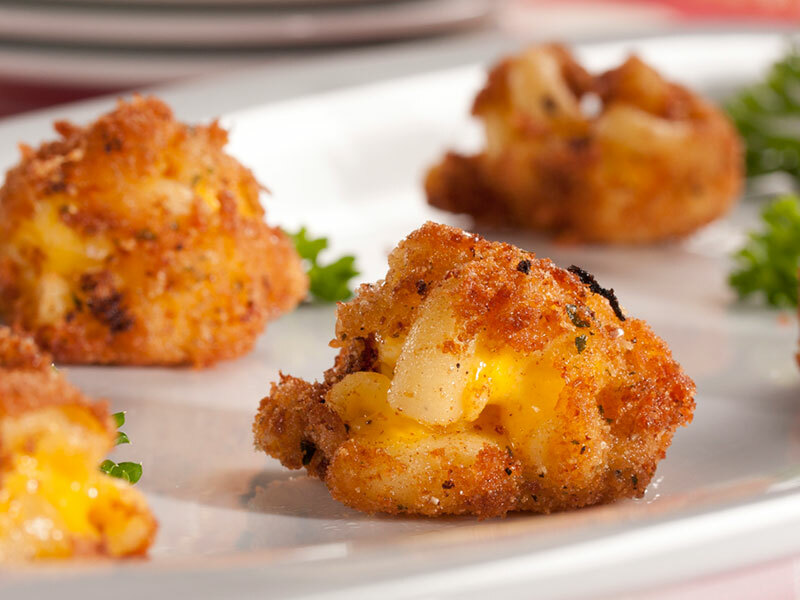 If cheesy is your thing, then you’ll love these Fried Mac ‘n’ Cheese Balls. They’re super simple and really popular with kids and adults. One bite and you’ll find yourself going for another! Here’s a vegetarian party appetizer that’s restaurant-fancy. 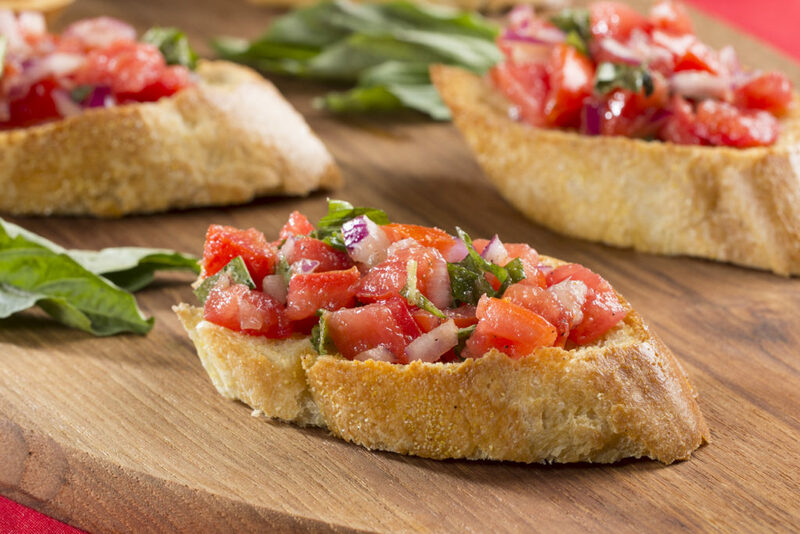 Crispy Bruschetta features a flavorful mix of fresh tomatoes, basil, onion, garlic, and olive oil. Yum! If you’ve ever dreamt of eating mashed potatoes with your hands – here’s your chance. 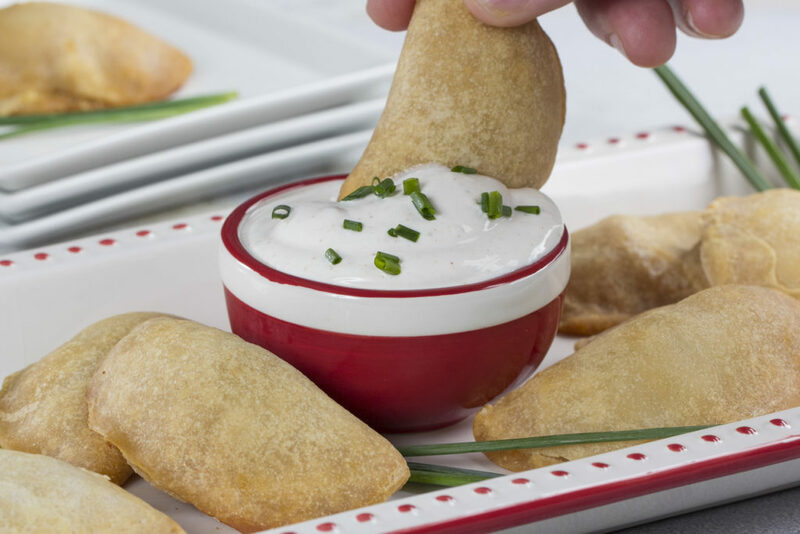 These Potato Pockets are sort of like shortcut pierogies; they’re stuffed with a mashed potato and onion filling that’s delicious! 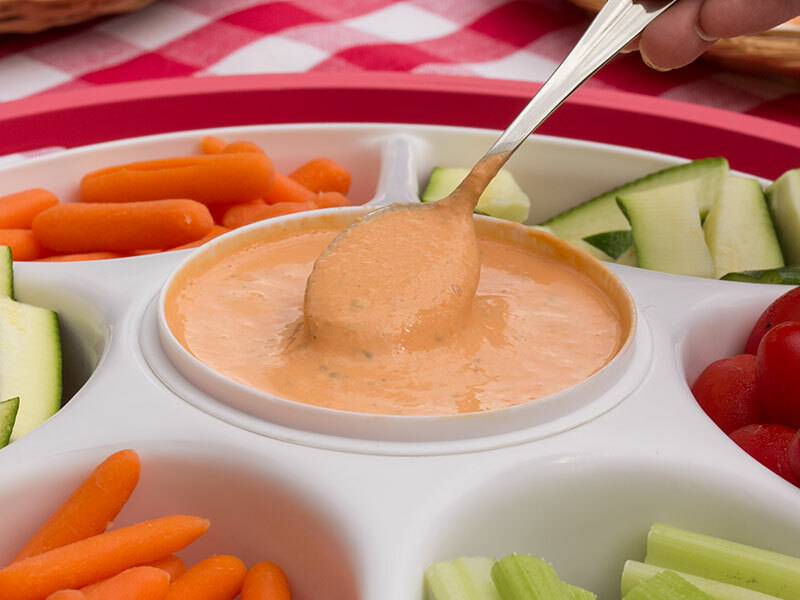 Of course, there’s nothing wrong with a platter of your favorite cut veggies and a homemade dip either! What is your favorite easy holiday appetizer? This conversation is sponsored by National Frozen & Refrigerated Foods Association. The opinions and text are all mine. 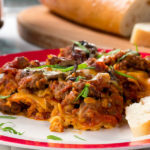 For more great family dinner recipes visit EasyHomeMeals.com or MrFood.com.